For diy homeowners and contractors alike, HomeAdditionPlus.com’s new Sheetrock Calculator Iphone App is the perfect tool to have at your disposal on your Smartphone. The Sheetrock Calculator allows you to quickly and easily determine how many drywall panels and 5 gallon buckets of joint compound to buy. In addition, it calculates drywall costs for the entire project by the push of one button. Moreover, you can either use the default unit costs for the drywall panels and joint compound or you can enter in your own specific unit costs. It also allows you to select various standard sheetrock panel sizes. To use the sheetrock calculator just enter in wall height and width dimensions, ceiling dimensions, the number and size of doors and windows, and hit the calculate button. In an instant you’ll know how many drywall panels to buy, how much joint compound is needed, and the total cost for the project. It’s that easy. The Sheetrock Calculator costs only $0.99 and is available on Itunes. 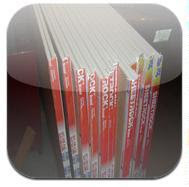 Buy the Sheetrock Calculator Iphone App at Apple’s Itunes Store today.